Xbox one or Xbox 360 is widely-favored by receiving and streaming videos from your computer, but FLV video files cannot be played or opened by them as it's designed mainly for web playback or for sharing on the websites and imcompatible with Xbox consoles. The corresponding solution to play FLV videos is converting them to Xbox supported formats. Then you need to find a suitable video converter that converts FLV file without any quality loss. The article below lists 4 powerful video converters for you and the procedures that you should follow while converting your FLV files. Zamzar is a free web-based application, which converts video, and audio formats into different output formats. It supports more than 1200 conversions and it lets you convert to formats that are compatible with your media player, device or game consoles such as Xbox. Zamzar can convert your FLV file to an output format, which is supported by your Xbox on without downloading or installing any app in your computer. It supports almost any browser and you can use it without the limitations on the browser type. Zamzar entails three simple steps to do the conversion. Step 1 Select the file or the URL of the file to convert. Step 2 Select the format to convert to. Step 3 Enter the email address to receive the converted files. Step 4 Convert your files. The free online video converter helps convert media files from one format to another, and it can help convert FLV video files to Xbox one supported formats. Most importantly, the program is free, and you just need to upload the file that you want to transform, and the software will convert it to you. The converted fil is received by email and email contains a URL to download the converted file. 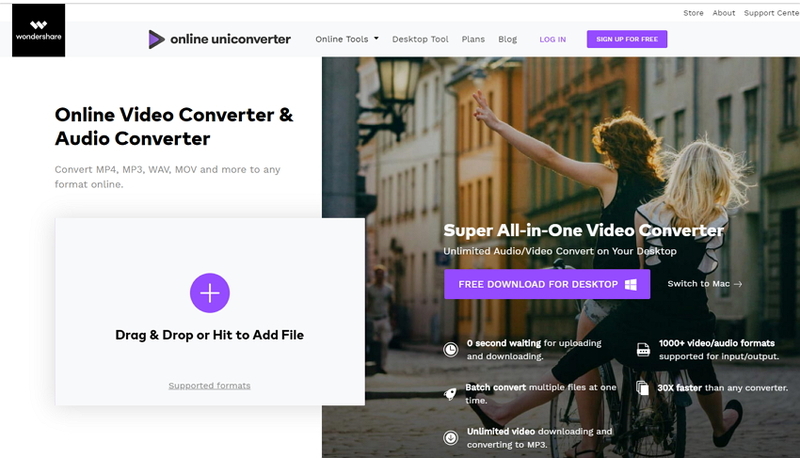 The steps of converting videos using Online UniConverter (originally Media.io) are below. Step 1 Upload the video you want to convert. Step 3 Enter the email address to recover the converted file. 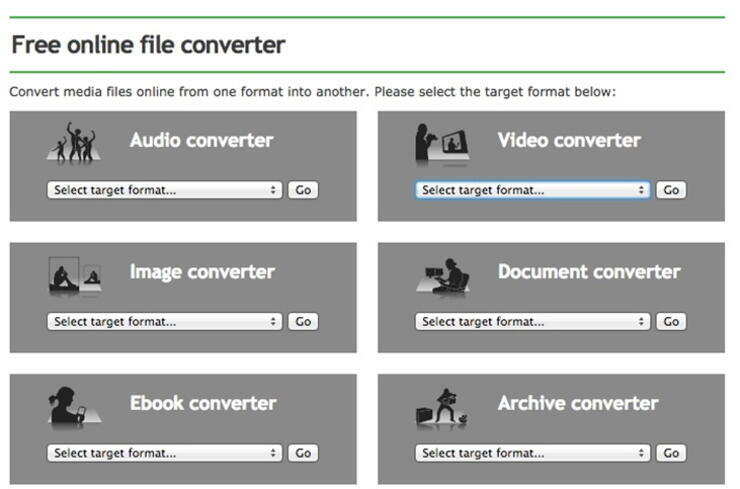 Online convert supports conversion of images, videos and audio files by just uploading them form your computer. The tool lets you convert your file depending on your device and you can also convert to output formats that can be supported by your device including Xbox One. The application can only convert file up to 100MB. The steps include select the target format > choose output format > Convert. File size limit- Zamzar supports files up to 50MB, while the free online Converter and the Online Convert support file size up to 100 MB. All the three online converters require internet connection to function. Most online converters sends the converted file to the email which may take time to show and sometimes it may fail to download. Wondershare UniConverter (originally Wondershare Video Converter Ultimate) is the most recommended solution to play FLV on Xbox one. The application converts almost any video file without any limitations on size. It does not need the Internet connection, and it converts files 30 times faster than other converters. The Wondershare Converter Ultimate offers 2 ways to convert FLV to Xbox for your selection. Add the files by dragging and dropping them to the program or by going to “Add Files” on windows and “File” > Load Media Files on Mac. On the “Output Format” choose file formats such as AVI, MP4, WMV, MOV, and any other fil format supported by Xbox One to be the output format. Click the “Convert” button to convert FLV to Xbox One format. Choose the Xbox One presets by going to “Device” then click “Game” and choose “Xbox One”. Wondershare Converter will convert to formats supported by your device even when you do not know the files that are supported by Xbox One. Click “Convert” and the Wondershare Video converter will convert the FLV with a fast speed. To convert FLV to Xbox one formats, you must know the supported Xbox formats.